Black’s the way to do it at local Alfa Romeo dealership, Guest in Solihull, as it unveils the head turning, limited edition, Alfa GT BlackLine. Ramping up the desirability of the Bertone styled Alfa GT, the Italian sporting car manufacturer has added unique 18” alloy wheels, metallic black paint and interior sports styling to create the limited edition Alfa GT BlackLine. Yet, despite the stylish and eye-catching upgrades, the 2.0 JTS and 1.9 JTDM powered Alfa GT BlackLine models are priced lower than the current entry-level versions. Now on sale, the 2.0 JTS Alfa GT BlackLine costs £19,980 and the diesel version costs £20,980. 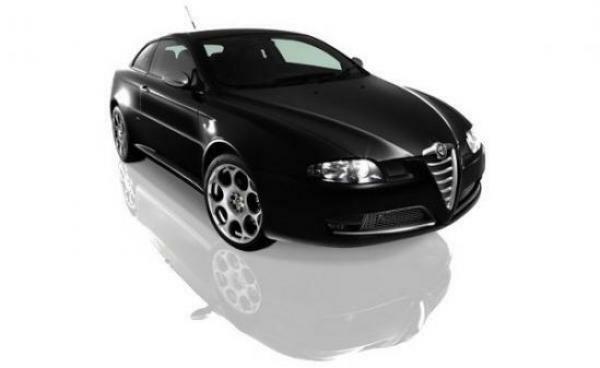 All limited edition Alfa GT BlackLine models feature a dramatic exterior look, with metallic black paint, satin effect door mirrors, chrome exhaust and bespoke 18” alloy wheels. Inside, the cabin boasts black leather sports seats and steering wheel with red stitching, aluminium sports pedals, an aluminium gearknob with red stitching on the gaiter, and a Bose sound system. Delivering head-turning style and performance to match, the 165bhp 2.0 JTS petrol engine will power the Alfa GT BlackLine from 0-62mph in a sporty 8.7 seconds, and on to a top speed of 134mph; while the gutsy 150bhp 1.9 JTDM will accelerate this Grand Tourer from 0-62mph in 9.6 seconds, and produce a top speed of 130mph. For more information on the Alfa GT BlackLine, visit www.guest-alfaromeo.co.uk. What is this new conveyancing quality scheme?